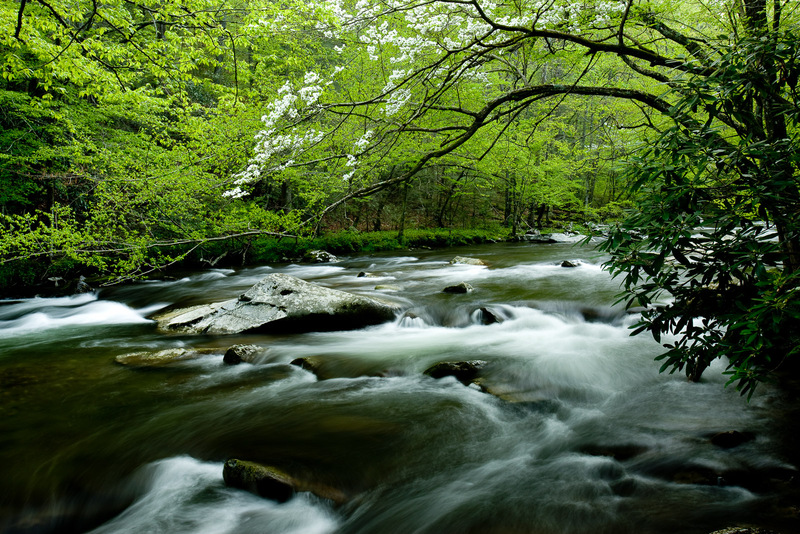 Dogwood trees reach their blossoms out towards the light along the Little River of the Smoky Mountains. Early spring time showers bring forth the lush greens and a cleansing from mother nature. Photo © copyright by Lance B. Carter.